198: On Why I'm Bringing More Joy to My Speaking - and You Should Too! There were all kinds of signs pointing me to JOY: a journal that jumped out to me at the craft store; our Christmas card; a talk I heard; my latest Netflix craze watching Marie Kondo “spark joy”… The universe has been laying down little pebbles for me on this one. But what does JOY have to do with you - and what does JOY have to do with speaking? I think Joy is an essential element of speaking that MOVES people. So many words in there I like! Pretty good - but it’s also lacking something, yes? Joy is more than that. It’s an orientation of the heart. But let me be clear about something: Joy is not about Happiness. It can’t be. So when I see a speaker fully embrace joy - they are able to communicate a depth of life experience that is moving, transformative, insightful, essential. They are more able to feel fully the great expanse of life’s experience. They are soaking up the moment they have in front of them. And most importantly - they are confident, present, vulnerable and courageous enough to express that to their audience. If we embrace joy as a speaker - we give joy to our audiences. JOY is something we FEEL. Not just ourselves, internally, but the people around us - our audience - can feel it. One of the things we do as speakers - whether we intend it or not - is share our energy. We give off what we are feeling. We share space with our audiences in a profound way. When we take DELIGHT in our audience and bring joy with us on stage - it helps the audience do the same thing. They feel loved, seen, CONNECTED. And that is powerful, transformative - potentially life-changing. Which is the point, isn’t it? That our presence up in front will DO SOMETHING? Let’s reach for that this year, shall we? Let’s bring more joy to our audiences. Joy meaning the appreciation for the fullness of life’s experience. Joy meaning risk, and joy meaning failure. Joy meaning love, and joy meaning pain. Do you embrace JOY as a speaker? If you're not convinced it's necessary, take a listen to ep. 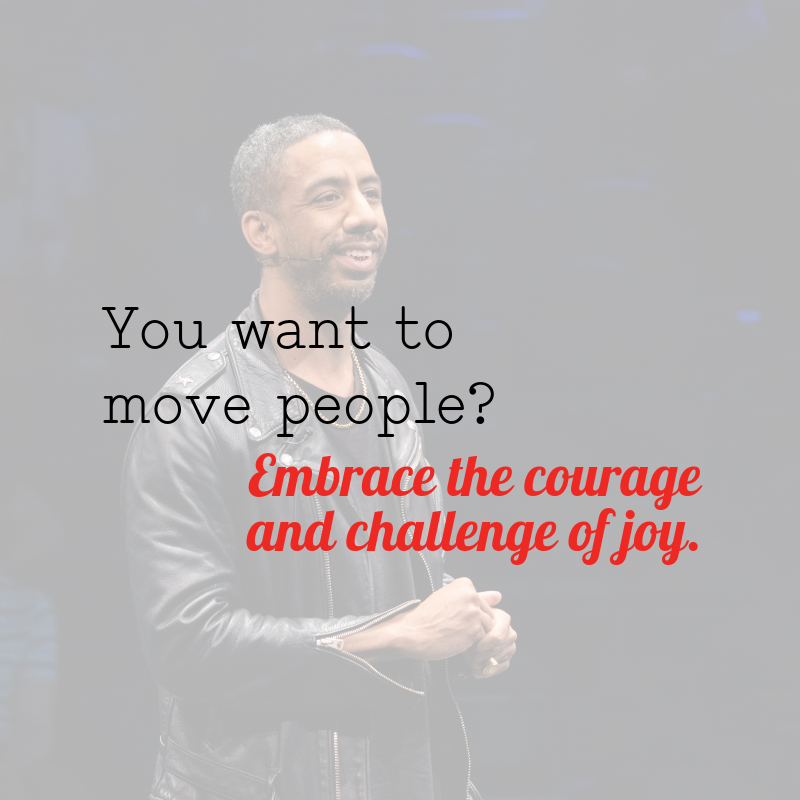 198 on @thismovedme, Why I'm Bringing More Joy to my Speaking This Year - and You Should, Too! Where on earth I’ve been over the last several weeks! A funny story about Sally in high school… oh dear. What JOY has to do with speaking - and why it’s worth the risk.